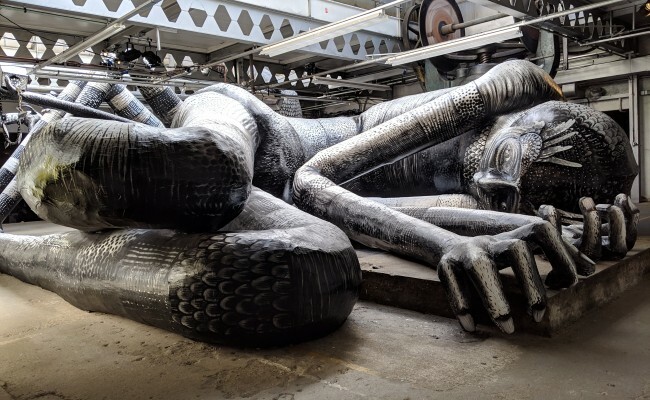 Phlegm’s Mausoleum of the Giants has closed, his giants finally put to rest. It has easily been one of the most remarkable events that Sheffield has ever hosted. Who could ever have imagined people queuing for up to three/four hours for an art exhibition in our city? It was hard not to get excited when the news first broke that Phlegm would be returning to Sheffield to put on an exhibition. 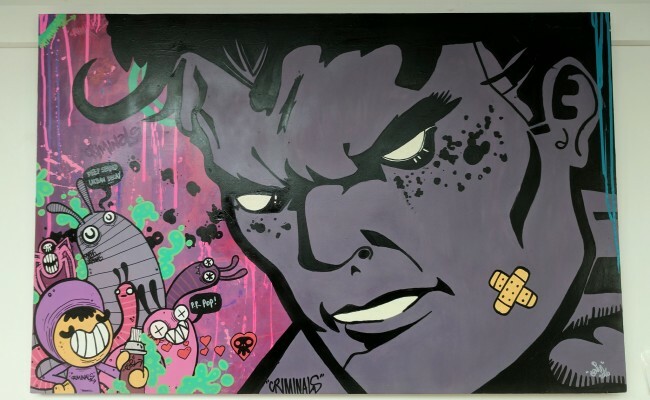 For an artist that has become so well known internationally for his distinctive and highly detailed street art it is perhaps a surprise that this is only his second ever exhibition. 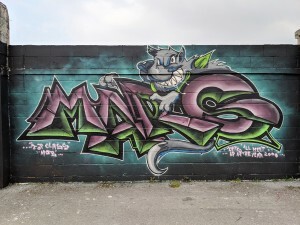 Although born in North Wales, Sheffield was for a long time Phlegm’s home town. 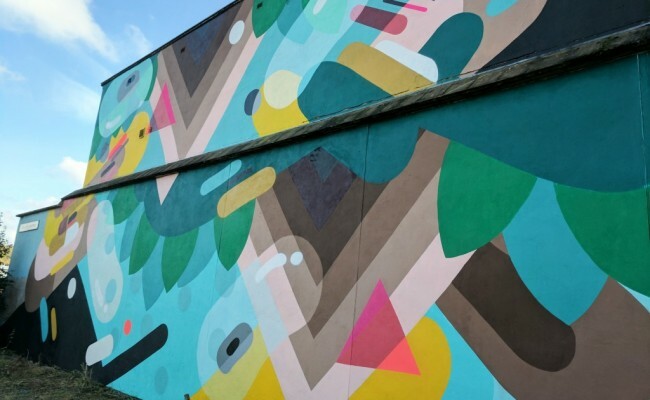 As a result many walls about the city are adorned with his fantastical illustrations. So whilst he may have moved on it was great to see him return to Sheffield for this event. 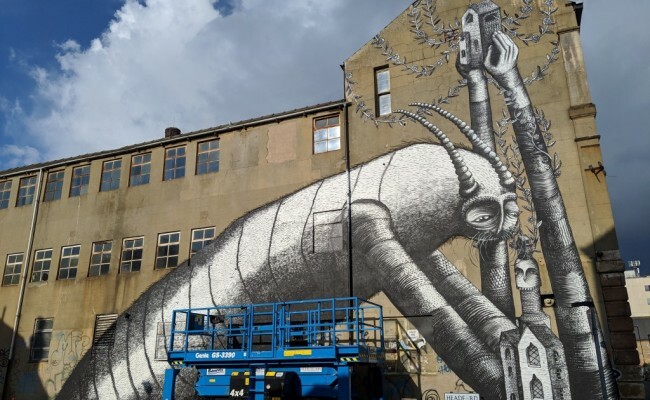 The internationally renowned street artist Phlegm is opening his second ever exhibition this coming weekend in Sheffield. The venue has finally been revealed as the Eye Witness Works on Milton Street (S3 7WJ). Mausoleum of the Giants runs from March 15th until April 6th and entry will be free. Full details can be found on the exhibition’s official website. OK, so I have been planning this for a while and had originally hoped to get this launched at the start of the year, but life got in the way; however, finally I am ready to reveal the Artists section of Street Art Sheffield. Despite the delay November seems like a good time to launch this as it marks the website’s fourth anniversary. 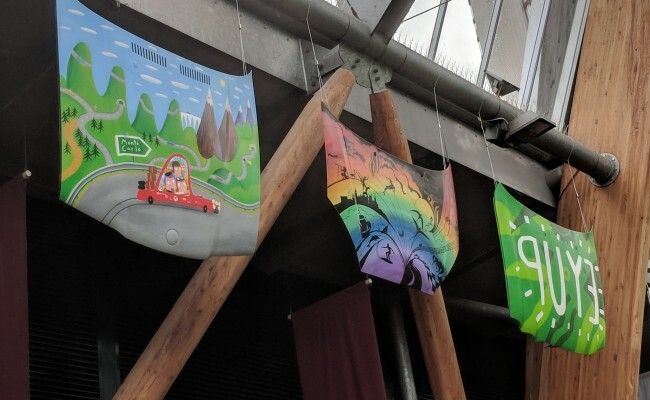 A new public art exhibition has opened in Sheffield’s beautiful Winter Gardens and it’s all for a good cause. Bangers and Cash opened last week in Sheffield city centre’s large timber arched greenhouse. Nottingham is less than an hour away from Sheffield by train. 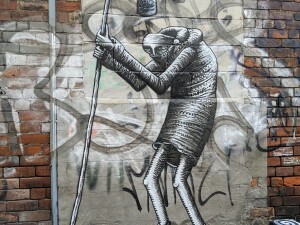 So yesterday I took a trip down there to see is I could discover some of Nottingham’s street art. Thankfully I didn’t have to search hard to find some great murals and graffiti in the city centre. It’s the ninth annual Tramlines music festival in Sheffield this weekend and the city will be buzzing. 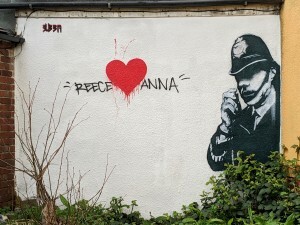 So I thought it would be great to look back over some of the musical legends that have been painted on Sheffield’s walls over the last few years. Earlier this week I visited the beautiful seaside town of Southwold over in Suffolk and discovered this great piece of street art. 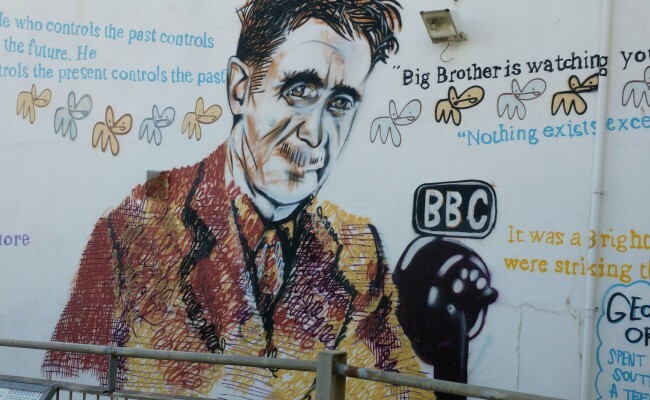 This large scale wall mural of George Orwell can be found at the entrance to the town’s pier. 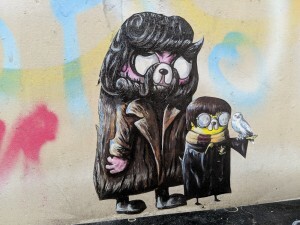 This graffiti mural is by the street artist Pure Evil (Charlie Uzzel-Edwards). There’s a great exhibition of pop art by Gavin Kilcommons in the Art House just off Division Street at the moment. This exhibition has been on for a while, but I finally took some pictures of Gavin’s fantastic works the other week and wanted to share them here.